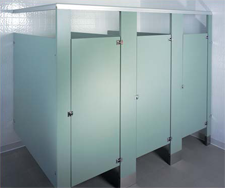 Manning Materials is here to help with your bathroom toilet partition order, whether you’re a professional contractor or you’re working on your first project, . The following pages are here to help you select the right material for your project. 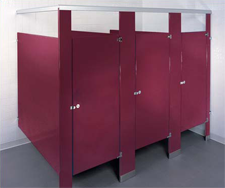 Although we have a large selection of bathroom toilet partitions represented here on our website, we can’t list all of the materials that we have in our warehouses. So please feel free to call us at any time if you have any questions that are not answered here. We have some pricing samples on the individual material pages to give you an idea of the costs, but for a written quote that you can reference when placing an order, just fax or email us your layout. Your drawing should show us the layout of stalls within the room, and the dimensions you would like each stall to be. You will also need to let us know the type of material you would like the toilet partitions made out of, and the zip code they will be shipping to so we can include freight / shipping charges. 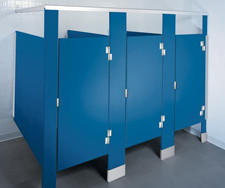 Quotes include all of the toilet partition panels, doors and hardware you need to make your project happen. We can also include freight costs in your quote up front, so you have a total cost with no hidden or ‘add-on’ charges. Manning Materials also has its own team of professional installers who are available for local installations. And even if you are installing the partitions you ordered and have a question you need answered, you can call Manning Materials toll-free at (877) 431-7078 to speak with one of our installers. 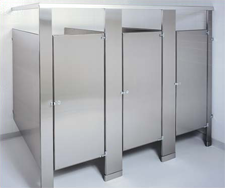 Floor-Mounted, Overhead-Braced – The most economical choice, and the fastest available option. This style is ideal for wood or concrete floors. Pilasters mount to floor and panels mount to walls, with anodized aluminum anti-grip headrail run across the top for additional strength and support. Floor-Mounted – Requires a minimum 2″ thick concrete floor for proper installation. Pilasters mount to floor, panels mount to wall. 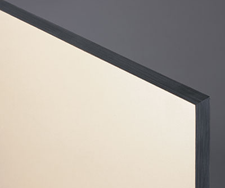 Top for the partitions is flush, ideal for areas with low ceilings. Ceiling-Hung – Requires structural steel ceiling supports for proper installation. Pilasters mount to the ceiling, and panels mount to walls. This style leaves an unobstructed floor area for efficient cleaning. Floor-to-Ceiling – Recommended to be installed into steel ceiling supports and a concrete floor. Pilasters mount to both floor and ceiling, and panels mount to walls.